Despite not having had a major redesign for several years, the 2016 Toyota Sequoia manages to standout nicely among today's most popular large SUVs. 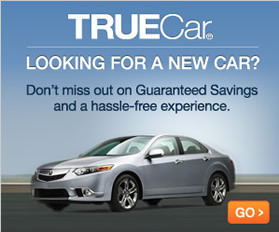 With a combined fuel economy of just 14 mpg, however, it isn't right for those who want to save on gas. Other than that, however, the Sequoia is a roomy, powerful and ultimately comfortable SUV that's available in three enticing trim levels. A bevy of options packages is also available, allowing car buyers to get precisely what they need out of this state-of-the-art vehicle. The 2016 Toyota Sequoia is offered with only a single engine, but it's a powerful one. The 5.7-liter V8 produces 381 horsepower and 401 pound-feet of torque, so it's easy to see why it's capable of towing up to 7,400 pounds. A six-speed automatic transmission comes standard on this rear-wheel-drive, truck-style SUV, which has four doors and seats up to eight passengers. When fitted with the optional second-row captain's seats, seating is reduced to seven. The base model includes a dizzying array of standard features. In general, however, the Sequoia is in dire need of a major overhaul at least in terms of style, as its age is showing. 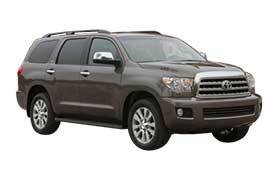 Incredibly, Toyota didn't bother to make any major updates to the Sequoia for 2016. That is surprising since the manufacturer hasn't updated this vehicle for quite some time. There's one exception, however: The infotainment system has been upgraded in a handful of ways, and the Limited trim now has an optional blind spot monitoring system. Although it's due for a major revamping, the 2016 Toyota Sequoia is still a powerful, comfortable full-size SUV that easily meets the demands of most typical drivers.